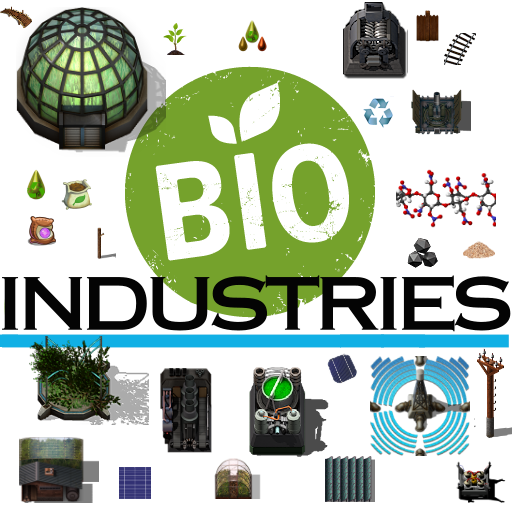 Bio Industries provides you with some very useful buildings and products. This mod works best with Bob's mods, but can definitely be used by itself also. Thanks to Xterminator for doing a Mod Spotlight – V1.1.0 so a little outdated. Bio-Farm: Produce wood in a green house. Bio-Garden: A building that helps reduces the pollution you create. Bio-Solar-Farm: A high yield solar plant. Condense those hundreds of smaller solar panels into single unit. Bio-Accumulator – A very large Accumulator. Condense those hundreds of smaller accumulators into single unit. Solar Floor/Mat – A solar mat/floor that lets you move fast and produces electricity. Bio-Cannon: A massive artillery unit that only fires on spawners. It has a range of 85. Cookery: Turn all that wood you’re going to produce into Coal! Bio-Reactor: Produce Bio Fuels and Plastics. Seedling: Plant trees! (You can plant Seedlings and they will grow into trees.) The terrain you plant the seedlings on affects how fast they will grow, or if they will grow at all. 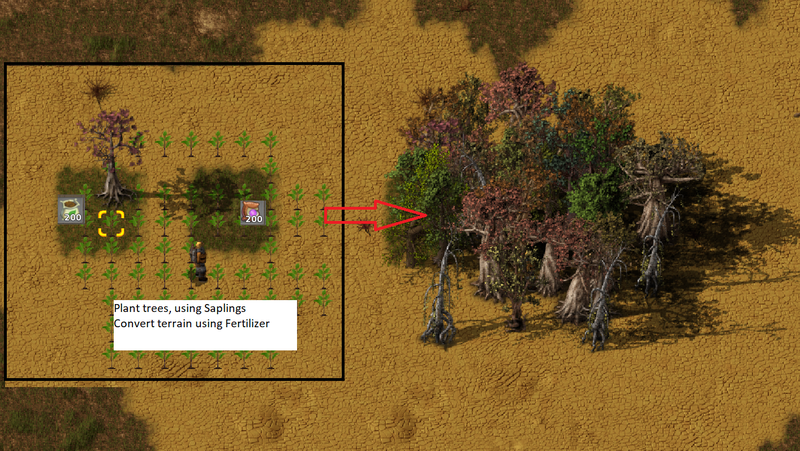 Use fertilizer to improve the terrain! Fertilizer: Use fertilizer to change terrain to grass. Trees grow better in grasslands that deserts. Also used in recipes to grow wood faster in the Bio Farm. Big Wooden Pole: Early Large Electric Pole. Wood Floors: Early Wooden Floors. Wooden Rail: Early Rail needs Wood to produce, later rail now needs Concrete. Wooden Rail Bridge: Create a bridge that will span water. Ash, Charcoal, Coke-Coal, Cursed Stone, Wood Pulp. Making some Vanilla recipe's more realistic. Home on Mod Portal <-- Use this for downloading. - Moved Game Tweaks to "data-final-fixes"
- You have an option to make fluids not be infinite. - Need help testing and balancing. - You can now also prospect for these fluids. - Power Rail Fix. Should work much better on NEW placed rail. V2.2.6 - Fixed Biomass Recipe 3. Increased the output. - Added Power Rail, now it's own entity. V2.1.7 - I think I messed up the Large Accumulator and Substation. Should now be fixed. V2.1.1 - Tweaked Bio Boiler. Tweaked Seed Bomb. V2.1.0 - Tweaked Bio Boiler. Added Seed Bombs. Plant trees via rocket launcher. V2.0.1 - Fixed crash with Bob's Green house. Fixed Rail tint. Fixed tree spawning. V1.9.0 - Gave Ammo Damage/Bullet Speed Descriptions. V1.8.7 - Fix Wooden Rail HD Tint, Tweaked Dart Turret to be 1x1 + Balancing - Thanks to Darkfrei for help with this update! 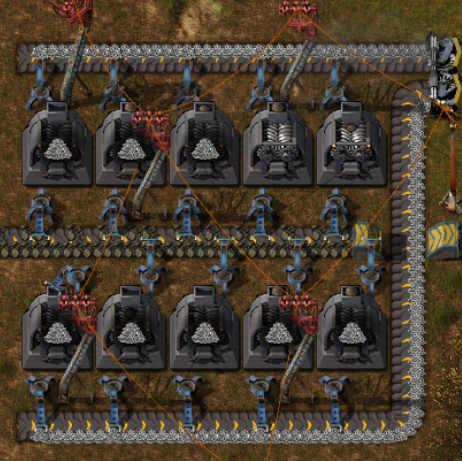 V1.8.5 - Moved Stone Crusher up to Automation 1. Changed Tech cost to be all 1 per like vanilla. V1.8.3 - Added large wooden chest - Graphics size reduction thanks to Darkfrei!! V1.8.2 - Slightly updated wood pipe graphics. V1.8.0 - Some Big changes. Totally redid Bio-Fuel section. Thanks to Veni for a lot of help here. Added Greenhouse to grow seeds that can then be turned into seedlings for trees. Balancing to Solar Farm and Bio Accumulator, both nerved. V1.7.3 - Removed "game.surfaces" from mod. V1.7.2 - Removed Liquid CO2, Added Bio Boiler, Increased Coke-Coal Acceleration value. Possible missing recipes fixed. V1.7.1 - Reworked what will grow when you plant seedlings. Thanks to Darkfrei for all his help. V1.7.0 - Added some additional disassemble recipes. Tweaked Bio Fuel Conversion recipe. Increased Bio Cannon range to 85. Seedling growth time now affected by terrain type. And probably some other stuff I'm forgetting. V1.6.3 - Attempt to fix recipe's showing up that have been researched. V1.6.0 - Added a very large Accumulator. Moved Bio Cannon up in the Tech tree. V1.5.6 - Fixed Blueprint issue. V1.5.5 - Removed some options. V1.5.4 - Fixed crash with my new concrete rail images. V1.5.2 - Fixed Bio Cannon Ammo, and some other tweaks. Added Wood to Pulp recipe. V1.4.8 - Fix crash when Bio Gardens were disabled in Config. V1.4.1 - Wood production time decreased by 25%. Plastics cheaper. V1.3.1 - Tweak to some of the icons. V1.3.0 - Tweak to Disassemble recipe. Added water so it's not a handcraft recipe. (This is a bigger pain that it's worth!) Russian translation added. 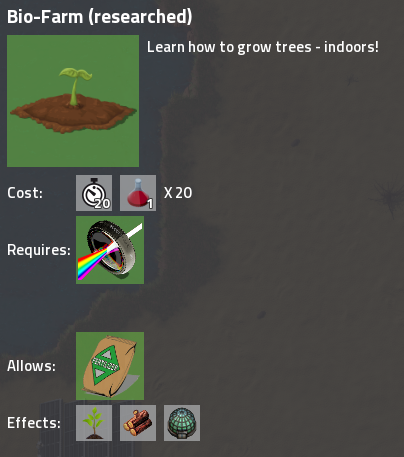 V1.2.8 - Fixed that you can plant seedlings if you have Bob's. Fixed Advanced Fertilizer required recipes. V1.2.7 - Fixed that you can place fertilizer when using Bob's Greenhouse. Fixed Migration script when Recipe Tweaks is disabled. (I think). 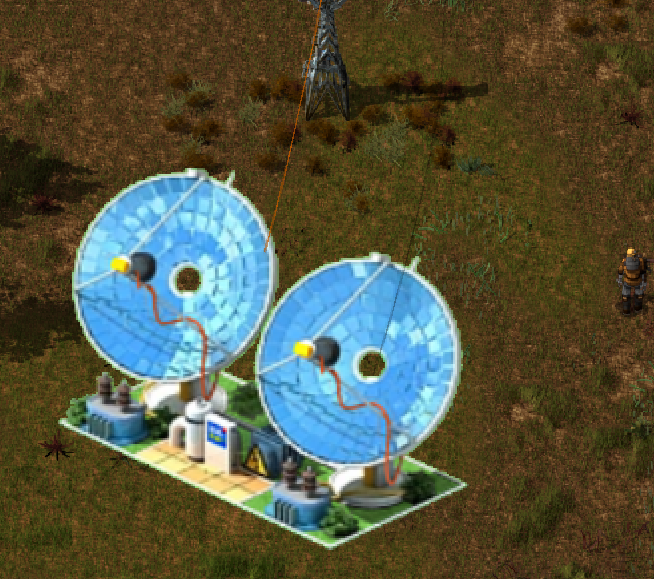 Made it that Plastics and Bio-Fuel is not dependent on NE Buildings Mod. V1.2.6 - Having iron gears in the disassemble recipe caused some issues. Not sure why. V1.2.4 - 200 Local Limit Fix. Made Reach a config setting and turned off by default. V1.2.3 - New Cokery Entity 3x3 Should fix hitbox issue. Bio Garden Pollution Clean Nerf, from -30 to -20. V1.2.1 - Liquid CO2 fix. Bio Garden nerfed from -40 to -30PU. Light entity removed from Bio-Garden. V1.2.0 - New Game tweaks added. 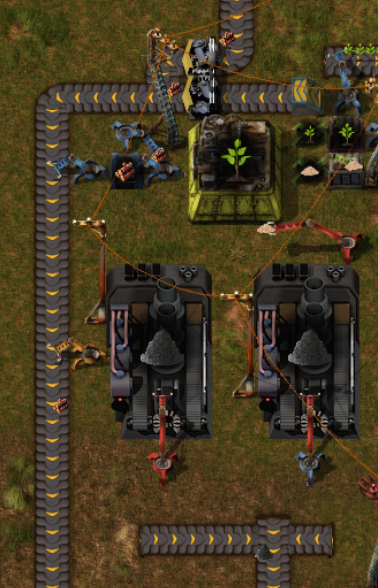 V1.1.2 - Wood Rail Curve fix. V1.1.1 - I forgot to disable the Test Setting in the Config. V1.0.8 - Wood Floor fix, Bad Migration Script deleted. 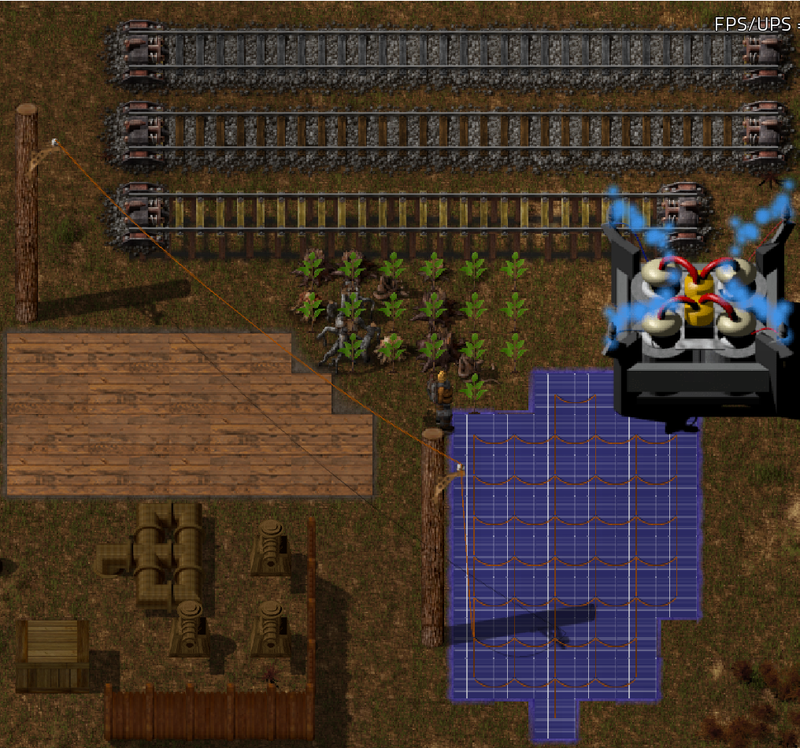 Tweak to solar farm. V1.0.5 - Fixed Nitrogen production. Added can fertilize terrain. V1.0.1 - Forgot to test with Zip. Had a Tech Image with an uppercase name! Fixed. L0771 - For his help given to me to start this MOD. AlyxDeLunar - For his MOD Dynamic Expansion that I’ve used in my MOD. Albatrosv13 - For his MOD Alien Temple that I’ve used in my MOD. FreeER - For his MOD Mind Control that I’ve used in my MOD. Darkshadow1809 - For his Evolution MOD . Rsending91, DOSorDIE and SpeedyBrain - Item/Corpse Collector Mod. Orzelek - RSO, Coding help and answering questions! Veden - He added some amazing code to my mod and has an amazing AI behavior mod: Rampant. Must have! ThaPear, Semvoz, Billw, Adil, Rseding91, Chlue - Coding help! Darkfrei - Help with the solar-mat & tree stuff. Bobingabout - Bob's Mods - Learned a lot from looking at your amazing work and am using a lot of your great code! YuokiTani - Art!! Amazing work! Last edited by TheSAguy on Sun Mar 24, 2019 1:44 pm, edited 127 times in total. There seems to be a problem with powering the Bio Farm. I placed small & medium poles aournd it , but the Red power Icon keeps flashing. jurrehart wrote: There seems to be a problem with powering the Bio Farm. I placed small & medium poles aournd it , but the Red power Icon keeps flashing. Last edited by TheSAguy on Tue Nov 10, 2015 5:25 pm, edited 1 time in total. Give it a show now. So I tried Version 0.3.0 the power issue has gone away. However in my savegame with bob's mods now when I click the greenhouse i get presented with a GUI window "Choose recipe for assembly", but wood is not present. Also while trying to deconstruct the already build greenhouse (with bio farm v0.2.0) I get a lau script error and the game crashes out to the menu. The error message is "Error while running the event handler: __Bio_Farm__/control.lua:40:attempt to index field '?' (a nil value)"
In a Vanilla savegame the greenhouse works fine, the recipe selection GUI contains wood. There was a lot of code changes from 0.2.0 alpha to 0.3.0 initial release. I keep separate savegames for mods test plays & general play. Ok so i have V 0.4.1 and i swapped my farms over to use the science pack 2's and my whole factory died a couple nights later because i was out of power from lack of wood not letting my steam engines top up my power, is seems like the reached the end of the production cycle using up the packs and saplings but never produced any wood ? Having the same problem as KNOWFEAR, my guess it that we are both trying to use the green pack growth recipe, but it produces 100 wood at a time and wood only stacks to 50. Solutions are: artificially increase wood's stack size, OR cut the cost, time, and result in half [at minimum] to keep the wood/sec and packs/sec the same while only outputting 50 at a time. If red farming also has this problem, halving red and quartering green may be required, given that we already know Woodx25 already works fine. Real Life has me tied down at the moment, but it sounds like I just need to up the Wood Stack size to fix this. I'm out of the country for the next two weeks. I altered recipes in a way that science pack related ones require half of resources and produce 25 and 50 wood stack respectively. Thanks for making this mod! 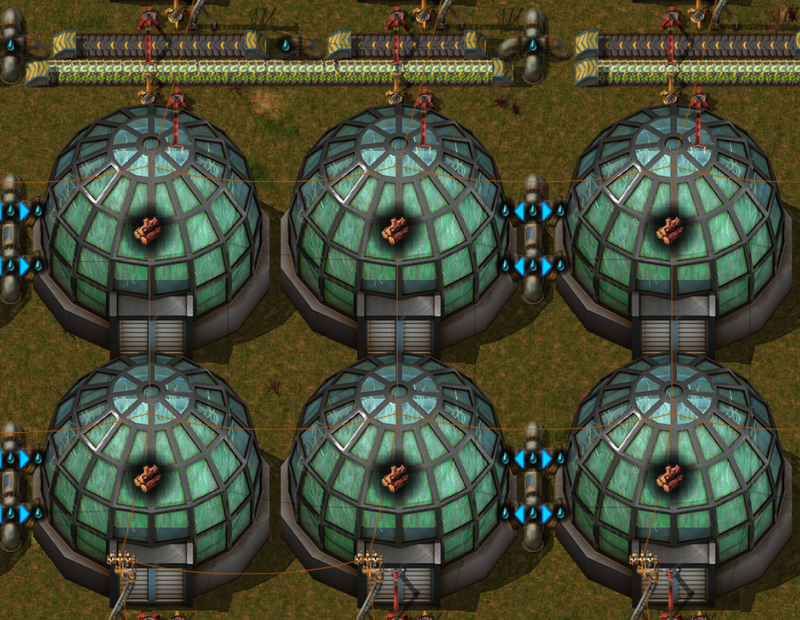 The Bio-Farms now serve as the backbone of my circuit factory. There isn't really much to improve, it does exactly what it says + the textures look beautiful. Maybe you could make the texture of an unpowered Bio-Farm to look darker (lights out), if this is possible. Just changed the Stack Size of Raw Wood to 200. Just an idea but you could use actual fertilsers if your mod detects bobs mods installed (specifically bobs plates for the chemistry). Bobs doesn't have phosphorus but all the ingredients for ammonium nitrate are present which could be the 2nd tier fertiliser. First could be straight ammonia soil injection. If you were feeling bold you could add potassium from salt electrolysis and go with that. It'd just feel a little more realistic than sprinkling science packs on the plants. Ratzap wrote: Just an idea but you could use actual fertilsers if your mod detects bobs mods installed (specifically bobs plates for the chemistry). Bobs doesn't have phosphorus but all the ingredients for ammonium nitrate are present which could be the 2nd tier fertiliser. First could be straight ammonia soil injection. True - My science packs was an easy way to get started. Not sure if you ever played with the Treefarm mod by drs9999. It was the master tree farming mod! I'll probably just pillage his fertilizer in an upcoming release so that it's not dependent on Bob's. Research Graphic updated to 128 bit. Yes, I played a game with treefarm a while ago but it was pretty laggy scaled up. I'm not suggesting a Bobs dependancy, just if it's there use the processes already present. I have 1 farm - it shows twice in electricity consumption and once in electricity production (producing up to 100kw).. why? gendalf wrote: I have 1 farm - it shows twice in electricity consumption and once in electricity production (producing up to 100kw).. why? It should use twice the power consumption at night. To do that, I put a solar panel inside it to produce some power during the day.